A few weeks after unveiling the single “Helsinki”, Swiss 70’s alternative / explosive-blues rockers Edmond Jefferson & Sons shared another excerpt from their upcoming effort with the music video of “The Winter” available right now on YouTube. The song will feature on the band’s second full-length album also called ‘The Winter’ and planned for CD, LP & Digital on March 8th through Hummus Records (Emilie Zoé, Killbody Tuning, H E X….). Since the band’s rock’n’roll debut in 2011, Edmond Jefferson & Sons has evolved and moved towards a more mature alternative rock. 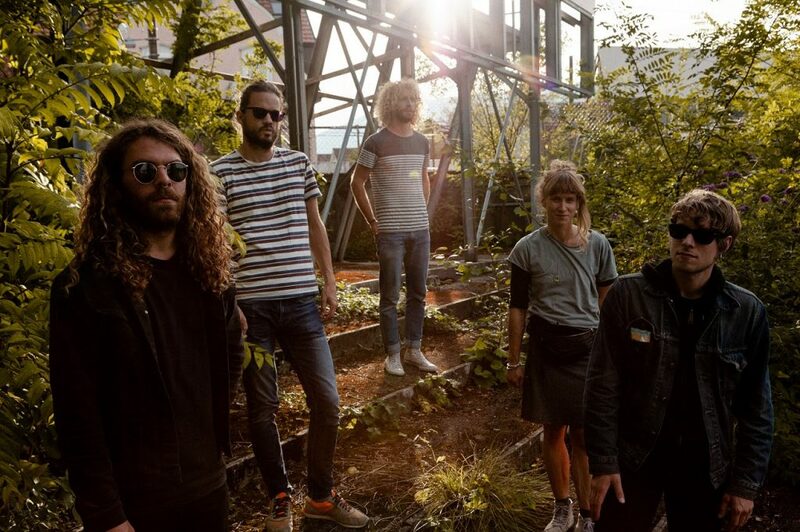 These five musicians from Biel (CH) get together to share something from their guts. They play an instinctive music that takes us on a journey through themselves, translating emotions that are sometimes sensitive, dark or vibrant. This powerful saturated and percussive organic sound is entirely enveloped by a visceral and mesmerizing voice. The Winter, the band’s second album, will be released on Hummus Records in March 2019.